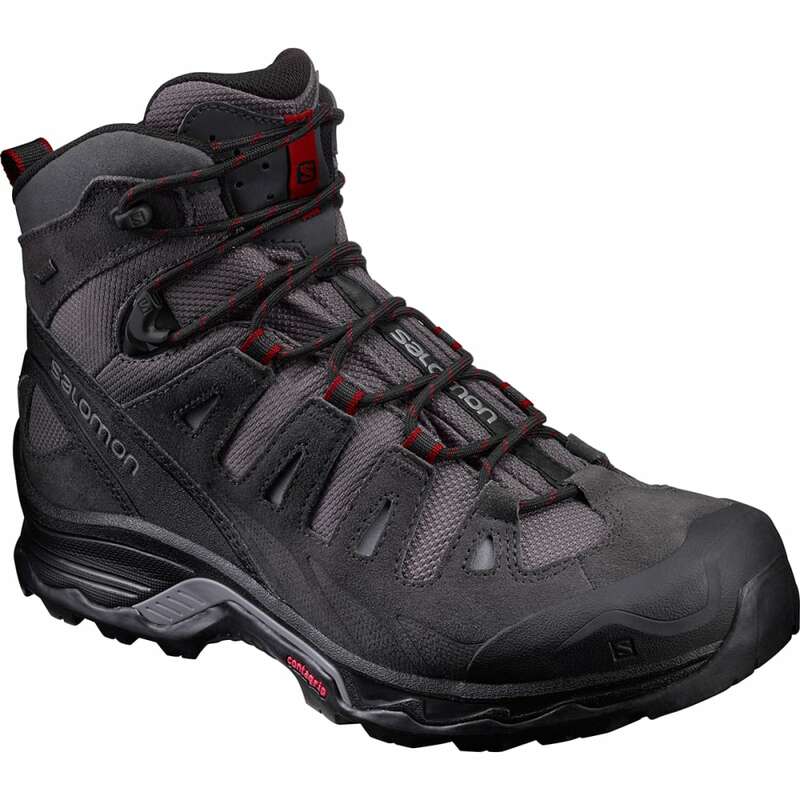 If you treat backpacking like a sport, the Quest Prime GTX?? is the boot that gets you more wins. Super light and designed for optimum cushioning and protection, it helps you go faster and farther in total comfort. GORE-TEX?? Extended Comfort Footwear Membrane: Gore-Tex???? ?s Extended Comfort Footwear is guaranteed to keep you dry and offers an extended range of comfort. Engineered to be used during high-output activities, GORE-TEX?? Extended Comfort Footwear is used in Salomon?? ?s adventure racing and mountain running footwear, where superior waterproof protection and enhanced breathability are essential. Protective heel cap: Provides rearfoot stability and protection. OrthoLite?? sockliner combines a specific Ortholite?? foam and an EVA heel cup. Ortholite?? foam creates a cooler, drier, healthier, and better-cushioned environment under the foot. It will not break down or lose effectiveness over time. Avg. Weight (pair): 20.12 oz.